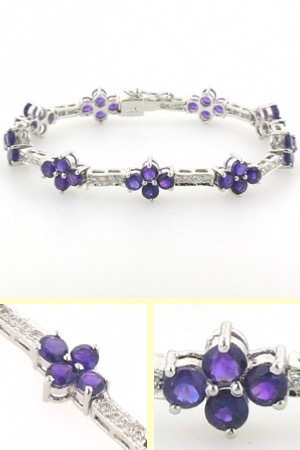 This superb bracelet looks fabulous around your wrist with beautiful amethyst clusters along the whole length of the bracelet. 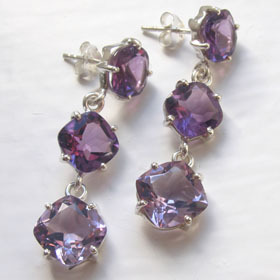 The 9 clusters are created by 4 round amethysts, glittering and sparkling with clarity, brilliance and perfect colour. 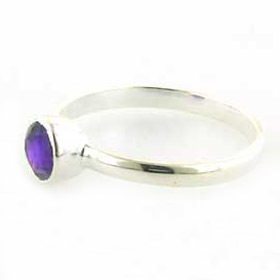 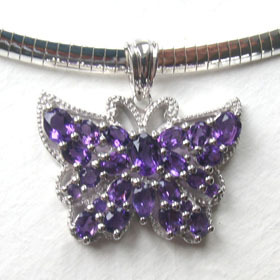 Each amethyst is claw set into the design. 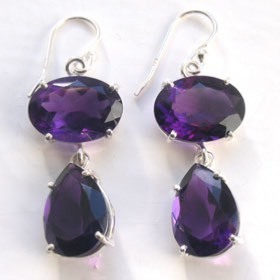 They are rich purple in colour. 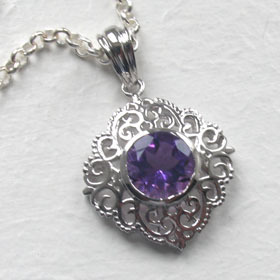 Between each cluster is a pretty section of pave set zircons (fake diamonds) which sparkle brilliantly. 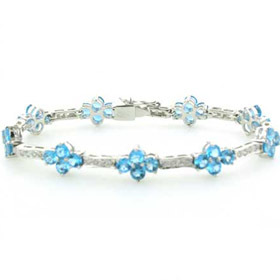 The bracelet curves around your wrist and whilst not rigid forms a soft bangle. 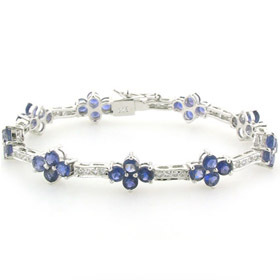 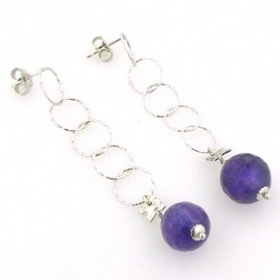 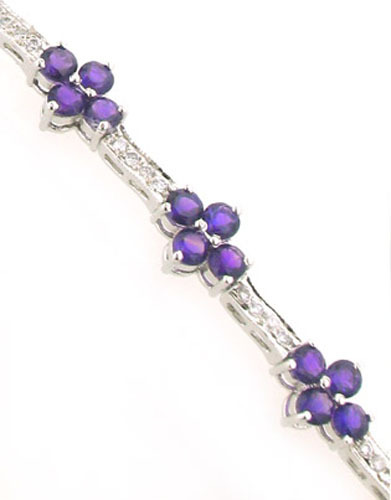 This amethyst bracelet fastens with a neat safety clasp. This amethyst bracelet is ideal to team up with either amethyst jewellery or plain sterling silver jewellery without gemstones. 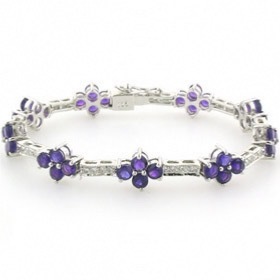 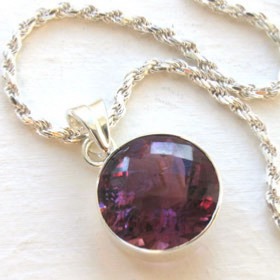 Every woman's jewellery collection should contain an amethyst bracelet.